Burt Lewis Ingredients prides itself on sourcing and supplying the highest quality dairy ingredients from around the globe. Our partners are among the most trusted and respected dairy companies in the world. Sachsenmilch Leppersdorf GmbH (est 1994) is one of the largest and most modern dairy factories in Europe with an annual intake capacity of more than 1.7 billion kilograms of milk. State-of-the-art technology is used to produce a broad range of products, including the regional milk brand Sachsenmilch. Using gentle membrane technology, they process fresh skimmed milk and whey from in-house cheese facilities into high-quality whey proteins, micellar casein concentrates, lactose products and natural milk calcium. As a company of the Theo Müller Group (founded in 1896), Sachsenmilch have extensive know-how in all areas of milk processing technology and ongoing investment in innovation provides the basis for ongoing success. As one of their basic principles, Sachsenmilch ensures complete traceability of all raw materials used in production enabling them to meet dietary product requirements and certifications, such as Kosher, Halal and vegetarian. Sachsenmilch products are backed by FSSC, ISO, GMP and SEDEX food safety & risk management standards. Burt Lewis Ingredients is the exclusive agent for Sachsenmilch products in North America. Westland Milk Products is a 100% farmer owned dairy co-operative based on the beautiful West Coast of New Zealand’s South Island. Established in 1937, Westland is dedicated to manufacturing top quality dairy products including infant nutrition powders, protein products (casein, caseinates, lactoferrin, milk and whey protein concentrates), cream products (butter, AMF), milk powders (whole, skim and buttermilk) and most recently UHT long-life milks and creams. Its approximately 400 farmer owners are committed to farming excellence, use pasture based systems and epitomize the company values of unity, dedication, loyalty and respect. Westland is focused on product traceability and the integrity of its supply chain, ensuring the safest possible product for its global customers. All of their products are, rBST free, Kosher, Halal, and FSSC and ISO certified. Burt Lewis Ingredients is proud to offer Westland’s dairy products to the North American market. Founded in 1914, the Tatua Co-operative Dairy Company is the oldest independent dairy company in New Zealand. Today, Tatua exports more than 94% of its products to more than 60 countries worldwide each year and has sales offices in three countries, Japan, USA and China. Tatua’s business focuses on six key areas: Dairy Ingredients, Specialty Nutritionals, Flavor Ingredients, Bio-nutrients, Foodservice, and Consumer Products. The company headquarters and all-encompassing manufacturing facility is situated in the heart of New Zealand’s richest dairy pastures in the Waikato region at Tatuanui, near Morrinsville. Tatua is focused on exceeding customer expectations while adding value and delivering quality products to its global customers. Tatuas facility is NZFSA, GMA and EU audited, and their product comes complete with ISO and FSSC certification. Burt Lewis Ingredients is delighted to offer Tatuas dairy products to the North American market. Ba’emek Advanced Technologies Ltd is part of the Tnuva Group – the largest food company in Israel. Their state-of-the-art production facility is located in the northern Jezreel Valley, the dairy and agricultural heartland of Israel. Using Israeli fresh dairy whey derived primarily from Edam and Cottage cheeses, Ba’emek is designed to produce the highest kosher products made from “Chalav Israel” (Rabbinical supervised Israeli milk). Ba’emek specializes in the production of Whey Protein Hydrolysates (WPH), Whey Protein Concentrates (WPC 34%-80%) and Edible and Refined Lactose, as well as powder blends designed according to customer needs. Ba’emek has a wide variety of kosher and halal certifications. Production is conducted at the highest level of hygiene under an integrated quality system comprising of ISO 9001, 14001,18001 and 22000 accreditations, as well as HACCP and GMP issued by the Government of Israel Veterinary Authority and Health Ministry. Burt Lewis Ingredients is proud to offer Ba’emek dairy products to the North American market. 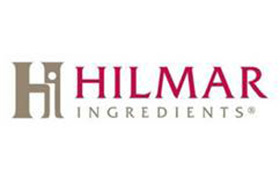 Burt Lewis Ingredients is proud to offer Skim Milk Powder from Hilmar Ingredients to the Middle East region.